Yes, we knew that, from reading the Memoir and many other biographies. They were oral tales, not written down. Clarke also points out other nuggets of little known facts from the memoirs. 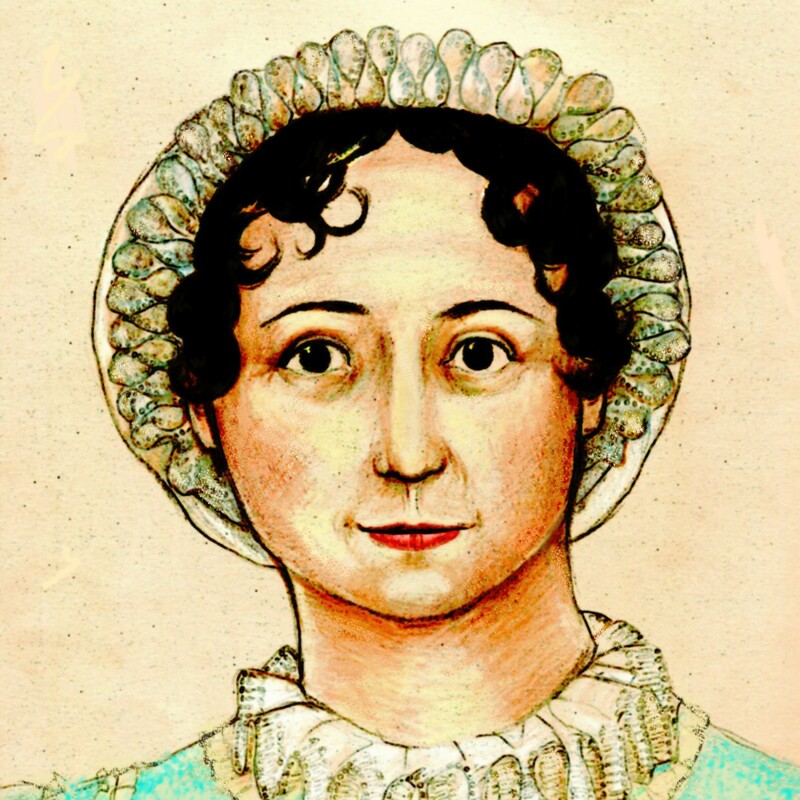 “Jane had one of her relatives buy back an Austen novel that had been tossed aside by a publisher and that book went on to become an Austen classic. Unique to the reformatted “Memoir” is the restoration of previously missing works intended by “Memoir” author J.E. Austen Leigh to be included. The restored works are “Lady Susan,” an Austen novel, and “The Watsons,” an unfinished Austen manuscript. According to “A Biography of Jane Austen” by David Gilson (1997) pp 369, the 2nd edition (1871) of “A Memoir of Jane Austen” by her nephew James Edward Austen-Leigh contains “Lady Susan” (transcribed from a copy and not the original) and “The Watsons”. There is no reinstating necessary. It has been available since 1871 and viewable on line at Google Books and Project Gutenberg for years. Here is the interesting part of this: although the title page of the original document (2nd Ed.) includes “Lady Susan” and “The Watsons” as if they were part of the volume, Mr. Austen-Leigh in his very first footnote tells us that they had to be omitted from this edition. In essence, you have the inside title page claiming the novel and the incomplete manuscript are included, but the biographer states they were omitted…and they were. I “reinstated” them in this reprint, so my comments are correct. I address this, also, in my Foreword. They are many versions of these memoirs and bios available on Amazon.com and everywhere else. Most of them have horrid covers and tough to read text. I tried to provide an attractive, easy-to-tote alternative and felt that, as Mr. Austen-Leigh did obviously, his Aunt’s novel and partial manuscript should be included in this particular edition. Now they are. And yet, Google Books has a scan of the Second Edition of the Memoir that certainly contains “Lady Susan” and “The Watsons.” But as can be seen on the Mollands etext of the Memoir, the footnote states, “The Watsons and Lady Susan are not included in this reprint.” Emphasis ours, because it makes it obvious that the extra texts were not included in reprint editions of the Memoir (of which there were many). However, as the scan at Google Books shows, they were included in the original printing. We have left a comment stating this for the author as well, though it is at this writing being held in the moderation queue. We are loath to keep an entrepreneur down in these difficult times, but if you are looking for a hard-copy of the Memoir, we can recommend the Oxford World’s Classics edition. It does not contain Lady Susan and The Watsons (which are available readily in other collections of Austen’s work) but it does have extra “family recollections” from Henry Austen, Anna Austen Lefroy, and Caroline Austen, and is copiously footnoted. It is a proper scholarly edition, edited by Kathryn Sutherland. While we like to tweak academia occasionally, in this case perhaps it is better to leave this sort of thing to the professionals. Oh Lord, I’m so fagged! This cracked me up! Way to go Laurel. I had the above comments–and others–visible on my web site for a time, but I decided to remove them and replace them with a post and some graphics from my edition to explain my perspective. It’s been interesting to discover the extent of the Austen world with emails coming in even from South America. Thank God I didn’t go the Jane Austen/Zombie route or the latest travesty: Jane Austen and the Sea Monsters. Anyhow, feel free to drop by and perhaps one of you might actually read my “Special Edition” (or buy it for a “greenie”) and give a fair review. Thanks. Stap my vitals, Mags–it’s all Lombardy street to an orange if I don’t learn some new cant every time I cast my glims on this crib! Damme if I don’t! Georgette Heyer has nothing on me. When it comes to netspeak, I’m…wait for it…ALL THE CRACK! BANG UP TO THE MARK! ETA: Sigh. Not so much all the crack. Maybe on crack. When I say She’s Everywhere, I mean She’s EVERYWHERE.